Dr. David and Teresa Ferguson have shared a biblical message of health and relevance for more than 25 years. Their passion for seeing the Great Commandment of loving God and loving others lived out among God's people has led them to impact thousands of ministers and their laity. As codirectors of Intimate Life Ministries, they direct a multidisciplinary team that serves more than 35,000 churches in the United States and abroad with training and resources through the strategic partners involved in the Great Commandment Network of denominations, movements, and ministries. David serves as codirector of the Center for Relational Leadership, which provides training and resources in church, business, and community settings. Teresa serves Intimate Life Ministries and the Center for Relational Leadership as a conference speaker, small group facilitator, and mentor for church and business leaders. David has an M.Ed. from Texas State University and two doctoral degrees from Oxford Graduate School. He is a member of the Oxford Society of Scholars. 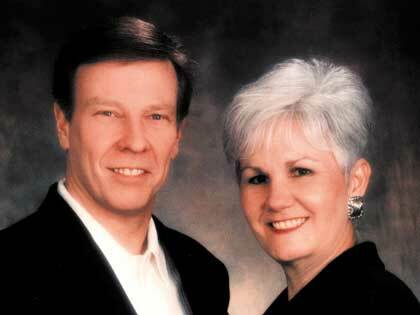 David and Teresa have been married for more than 40 years and have coauthored several books and numerous articles. They reside in Austin, Texas, and have three adult children and six grandchildren.